Nads' Bakery: A Measuring Cup That's Also a Scale?? I get this newsletter called The Tasting Table and in a recent one there was a feature on cool gadgets. 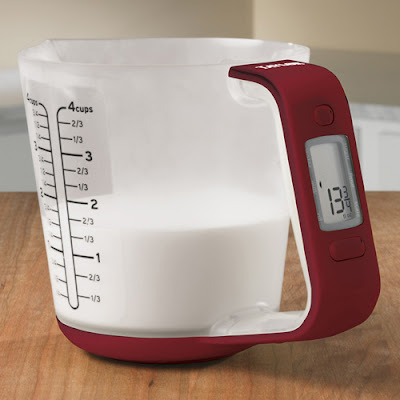 One of them was this super cool measuring cup. You can easily switch from fluid oz to weight and to volume! It's genius!